I chose to write about brolgas today because they are a beautiful, graceful bird. They mate for life and are well known for their majestic dancing during mating season. They line up in front of each other, throw grass in the air, flap their wings, jump around and bob up and down. They usually lay 2 eggs at a time. The eggs take about 32 days before hatching. Brolgas are omnivorous, eating roots, seeds, plants, frogs, insects, lizards and other small animals. They are found in wetlands throughout Australia and New Guinea. Brolgas are not considered endangered, although they are rarer in Southern Australia. 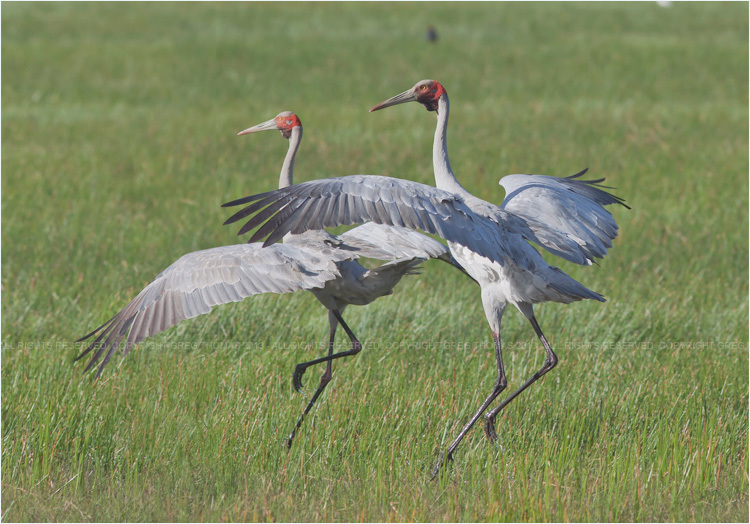 Are there any interesting facts that you would like to share about brolgas? I like your posts about brolgas and kookaburras. In fact, I like all of them! good blog! keep posting!